Impress your guests! Ellements Garden Umbrellas with their extravagant designs are classy and eye catching for gardens, patios, terraces, poolsides and other outdoor spaces. Premium quality materials have helped us become one of the best known manufacturers of durable garden umbrellas and outdoor furniture in Chennai. 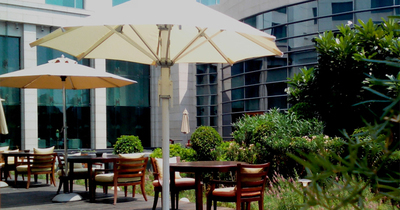 Our garden umbrellas are extremely popular in hotels, restaurant, bars and residences. They provide great style as well as a unique and stunning look to your house and hotel patio or poolside garden. Find out more on our garden umbrellas and outdoor furniture, visit https://www.ellements.in/ or call us at 044-4503 0073.